"The conservation of our oceans is close to my heart," says Perth-based Australian eco fashion designer and visual artist, Zuhal Kuvan-Mills, "especially after my encounter with whales on the Southern Oceans a few years ago in Albany, Western Australia. It is a memory that is embedded into my soul." Claudette Dean of Freeport, Grand Bahama island is a published artist, poet and writer. 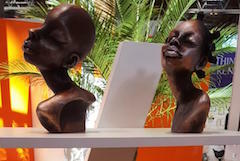 She has held many solo exhibits and has participated in many local and international group exhibits. She works primarily in oil and mixed media. Bridgetown, BARBADOS - The issue of replica handbags and other goods is a significant problem for designers and the industry as a whole. Whilst it is doubtful that this practice will cease, it is encouraging when authentic luxury products are discovered that are ethically produced in a conscious social manner. 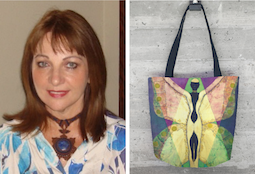 A number of such companies exist within the Caribbean, and two highly distinguished hand-produced bag companies MayaBags® from Belize, and REECII from the twin islands St. Kitts and Nevis, should be justly highlighted as examples to all. Stylish cuts, thigh-high slits, boundary-pushing head pieces, plunging necklines and overall avant garde fashion that could have graced the runways of Paris, New York or Milan, fashion students and alumni of The Bahamas Technical and Vocational Institute (BTVI) recently designed stunning creations for the Miss Bahamas Designer Showcase competition. Nassau, Bahamas – Contestants competing in the Miss Bahamas Pageant to choose the new Miss World Bahamas strutted down the catwalk before a capacity crowd in an exciting triple header event on Monday, July 11. 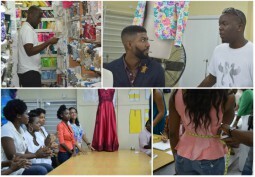 The ladies competed in the Sands Beer Swimsuit Competition, the Top Model fashion show, and the Commonwealth Fabrics Designer Showcase, featuring the creations of BTVI design students. Fort Lauderdale, Fla. - Carib Style Week 2016 honoured June’s Caribbean Heritage Month with a lively series of food and fashion fusion events as well as the Carib Style Pop Up Shop. 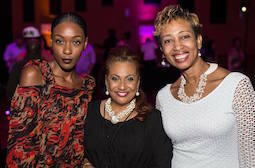 Held from June 23-26, festivities included the VIP Reception, Carnival Rocks the Runway, Westfield Experience, Epicurean by Design, and Bikinis & Brunch. Nassau, Bahamas – The 2016 Miss Bahamas Beauty Pageant to choose the new Miss World Bahamas got off to a roaring start on July 1 with the official “I am every woman” Launch Party, sponsored by Bahari Bahamas. The much anticipated event did not disappoint as 10 gorgeous women from across the Bahamas were formally introduced as contestants in the country’s most prestigious pageant following their television debut on the Reality TV Series Road to the Crown days earlier. Nassau, New Providence - Patrons of the recent Bahamas Yacht and Travel Show got a glimpse of the Miss Bahamas beauties in high fashion resort wear. 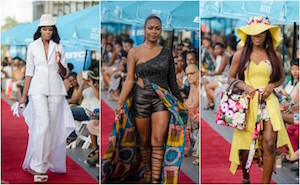 Contestants vying for the prestigious Miss Bahamas title rocked the runway at the Bay Street Marina in swimwear and resort wear courtesy of A La Plage, Aqua Soleil, Blue Moon Resort Wear and Paradise Blue Surf Shop, all located in the Marina Village at Atlantis. 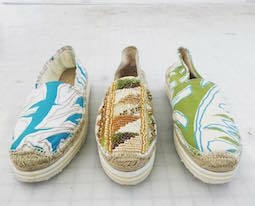 The collection featured bold colors, chic designs, functional accessories and an array of styles perfect for land and sea travel. 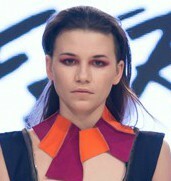 The contestants modeled a variety of resort wear from unique statement pieces to classic designs. 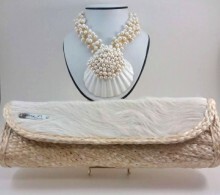 A jewelry designer from a small island in The Bahamas is hoping to see her necklace worn by none other than the United States president's wife, Michelle Obama! It's a tall order, and when The Bahamas Weekly asked the designer what sparked the notion, she responded, "For a very long time I have been dreaming of the day when I would see the United States First Lady, Michelle Obama wearing a necklace from my Chevette Williamson Jewelry line! I love standout unique jewelry and I realized from Mrs. Obamas photos that she embraces standout jewelry also." 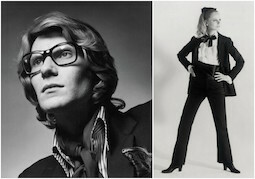 In keeping with his trailblazing roots, Karl Lagerfeld recently staged the first international fashion show in Cuba since the 1959 communist takeover by Fidel Castro. 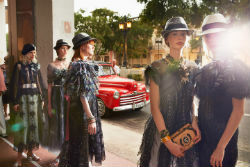 Along with a supporting cast of 500 elite fashion models, makeup and hair artists, seamstresses, staging crew members and 100 VIP guests, Lagerfeld showcased Chanel’s Cruise 2017 collection on the open air boulevard of Havana’s Paseo de Prado. 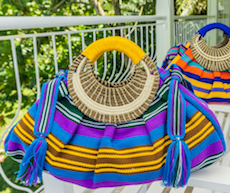 NASSAU, The Bahamas – As if the previous BAHARI collections were not impressive enough, the 2016 Spring Collection adds even more vibrancy and excitement to the Bahamian brand. 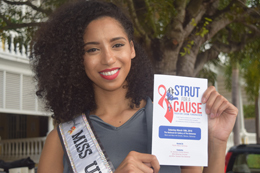 Miss Bahamas Universe Toria Nichole recently participated in "Strut For A Cause" an event put on by students of St. Andrew's School to raise monies for the Bahamas AIDS Foundation. 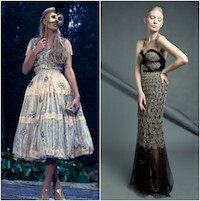 Toria wore a dress courtesy of Platinum Brides. Aliyah Lafrenier, a fourteen-year-old 5' 9" Canadian-Bahamian model made her runway debut at Vancouver Fashion Week in B.C., Canada. Aliyah recently returned to her birth country after growing up in The Bahamas, and is excited to be working in an industry she feels called to.